A kitchen stove, branded as rocket stove, in this recent picture. BAGLUNG, Jan 8: Sharmila Regmi of Sirsire village, Bhimapokhara does not have to struggle with thick smoke these days while cooking meals. Nor do her eyes burn. “I have been relieved. This is a modern stove, which does not release smoke inside the house,” she smiled. She has been told that the stove is called ‘rocket stove’. But she does not know why it has been named so. “It might be due to its modern look, efficiency,” she said. Earlier, Regmi had to collect bundles of firewood for daily consumption. Finishing household chores would be challenging in winter ‘as days get shorter’. Now, with the new stove at home, she has been greatly relieved. Rocket stoves have been distributed to over 900 households in Bhimapokhara. With this distribution, the area has been declared the first area to be completely equipped with rocket stoves. Alternative Energy Promotion Center has supported Urja Kendra Nepal Private Limited (UKN), Bajalu for the project. According to Surya Gautam, market manager of UKN, the market price of a rocket stove is Rs 5,800. “While APEC bears Rs 2,900, we bear the rest of the cost. We prepared lots of such stoves focusing on the project,” he said. Gautam stated that many households in the country still use firewood for cooking purpose. 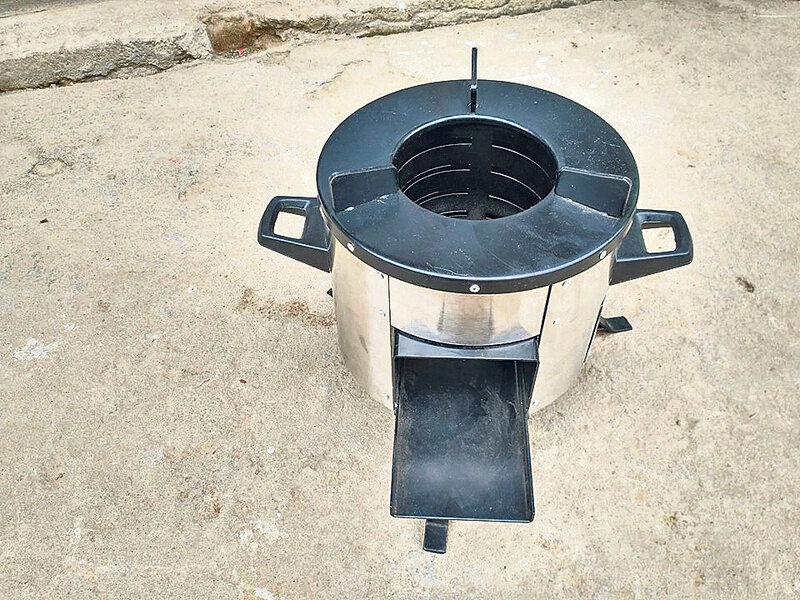 Rocket stoves have greater efficiency and help in preserving forests. “Trees are cut for firewood. Though many people have now managed to get LPG cylinder and stove for cooking, it has not fully displaced the traditional stoves that release thick smoke and burn a lot of wood. So we came up with this stove which is very ideal for remote places,” he said. Regmi stated she was considering getting an LPG stove and cylinder though that would come for a very high cost. But as she got a modern stove in the form of rocket stove, she has suspended the thought. “This stove is very easy to use, just like the gas stove I was thinking of. So, I think this will do for now,” she said. Meanwhile, Gautam said that the handy stove will be a boon to poor families in rural areas due to its efficiency. According to Bidhyapati Sharma, chairperson of Bhimpokhara - 9, the initiative was taken is to make people’s house free of harmful smoke. “APEC and the private company have helped in this. 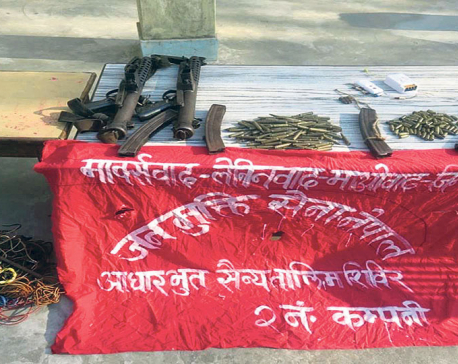 Our motive is to free houses of smoke here,” he said. Sharma stated that a few houses are waiting for the rocket stove. And added that they will get soon. “Around 80 houses are in the waiting list. We are extending access to these stoves to elsewhere as well in Baglung,” said Sharma. 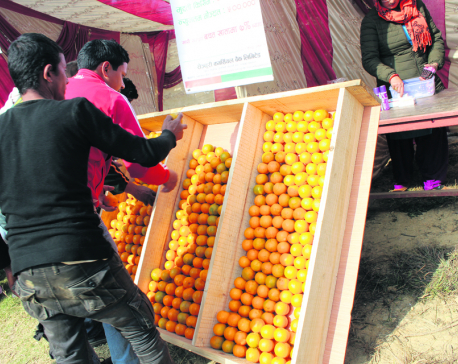 According to Amar Thapa, chairperson of Khathekhola Rural Municipality, the program is going to be launched in the rural municipality very soon. He has urged APEC to come up with a sufficient number of stoves for distributing in the area. Stating that the lack of modern stove was one of the factors triggering deforestation, Thapa said that the stove will give huge relief to the people as well as help in saving trees.